This past week, top interviewers from across the country came together in Fort Myers, FL for the 2019 Elite Training Day hosted by Wicklander-Zulawski & Associates and the International Association of Interviewers (IAI). 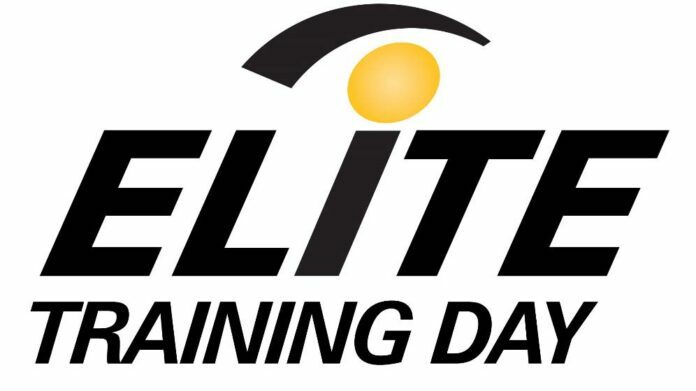 Elite Training Day was created by IAI to promote the ongoing educational growth and development of elite interviewers. 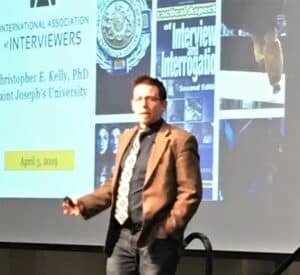 While primarily designed for those that have earned IAI’s Certified Forensic Interviewer (CFI) designation, anyone interested in becoming an elite interviewer is encouraged to attend. 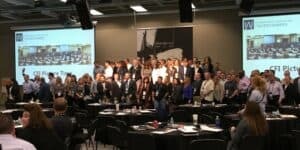 As the only event of its kind focused on the craft of interviewing and interrogation, the mission of this unique conference is to provide educational, business and networking opportunities to interviewers from all disciplines. This year nearly 200 professional interviewers were in attendance. Every leader—regardless of the industry or profession—understands the critical importance of pursuing meaningful ways to enhance our skill sets, allowing those talents to evolve to meet the changing needs of our chosen field. Nothing that requires any genuine level of expertise remains stagnant. Nothing that involves the application of that talent will stand idle while the world around us continues to move forward. In retail loss prevention, we put a great deal of focus on the need to evolve. 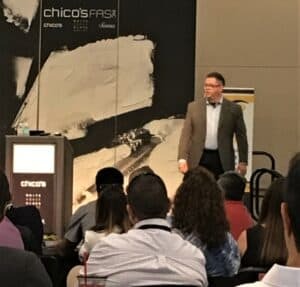 We recognize that the business is moving forward at an exceptional pace, influenced by the avalanche of information, competition, technology, and customer demand that forces us to make endless modifications to the way we approach what we do. Yet for all the well-deserved attention that is given to the way our responsibilities are changing, there remains an imminent need to stay in tune with our core skills—those that set us apart and persist as a prominent function of the profession. Clearly, interview and interrogation have remained a vital aspect of those core competencies. Interview and interrogation skills have always been an essential part of who we are—and a talent that must be continuously refined and developed. This, too is an evolving skill, driven by an ongoing understanding of how norms—and laws are changing, how information in a digital world is impacting what we know and how we respond, and a multitude of other factors that can influence the process. That’s what makes these conferences so important. By continuing to raise the bar we elevate the entire profession. We create an expectation of performance that drives growth and development. The week led off with a one-day WZ Masterclass on Tuesday, April 2, taught by Dave Thompson, CFI. By attending the Masterclass, participants were tasked with adding a new interviewing method to their toolkit through workshop-based scenarios designed to broaden and elevate their skills. The class featured an overview of the cognitive interview: an essential method when attempting to gain more information about an incident. Participants were also challenged with taking their knowledge of non-confrontational interviews and applying what they’ve learned to different verticals including human resources, logistics, C-suite cases, and more. Workshop-based scenarios then involved attendees interviewing each other to determine the truthfulness of a statement. Finally, Thompson discussed some of the key changes in the WZ methodology over the last few years to keep interviewers up-to-date, minimize liability, and mitigate the risks of obtaining false confessions. A retired senior Army Special Forces officer, Fenzel served as a military assistant on the personal staff of the Secretary of Defense, as a Special Assistant to the Vice President of the United States, and as a White House Fellow during the Clinton and Bush administrations. He was also the principal architect of the nation’s first public warning system for terrorism: The Homeland Security Advisory System. Fenzel discussed the need to adapt, the importance of storytelling, and the significance of gaining a broader perspective, and the “Levels of Listening” as part of the interview and interrogation process. “The stories we tell do matter,” said Fenzel. 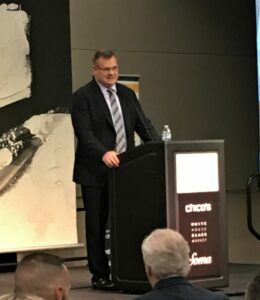 “Communication is a must, along with researching your subject, treating them with dignity and respect, and documenting your conversations and the information you gather.” He emphasized the importance of listening and critical decision making, telling stories from his military experience to bring his message to life. This was followed by a discussion on “Active Shooter: From Training to Survival” with John Diederich, M.A., MBA. As senior vice president and COO at Rush Copley Medical Center, Diederich is responsible for training his staff regarding Active Shooter situations. However, he learned firsthand that applying these concepts can be much more difficult in real world situations. Diederich was part of the audience during the mass shooting incident at the Dierks Bentley concert in Las Vegas in October, 2017 which resulted in 59 fatalities and more than 500 injured. He shared his experiences during the tragic event, to include how he first “froze” when the shooting first started, and his reactions as the night unfolded. 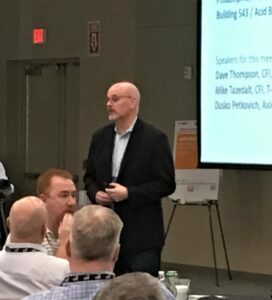 Diederich then emphasized the lessons learned from his experience, and the importance of actively applying training concepts as part of active shooter training programs to help employees respond appropriately in these situations should they occur. The final session of the day came courtesy of Dr. Chris Kelly titled “CFI vs. Ph.D: Different Letters, Same Goals.” As part of the presentation Dr. Kelly critiqued a successful interview conducted by Dave Thompson, CFI, offering his insights on the interview process and methods used to conduct the interview. By offering some different perspectives, the exercise underscored the essential need to accept constructive criticism of the interview process, our methods and approach, and the importance of keeping an open mind to alternative opinions. Sometimes humility can drive progress, and even the experts can learn by applying the lessons offered by a different look or a fresh voice. 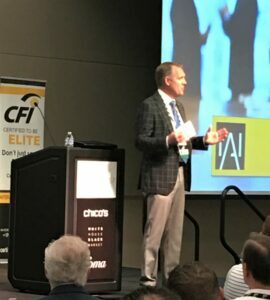 Day one wrapped with a recap of the day’s sessions along with the presentation of The CFI of the Year. This honor is intended for those who strive for excellence and professionalism in the performance of his or her duties, respect the dignity of all people being fair and just in dealing with an individual, exhibit the highest level of professionalism while interviewing sources, victims, witnesses, and suspects, and follow the CFI Values. 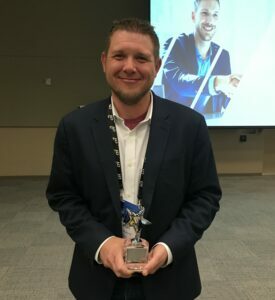 The 2019 recipient of the CFI of the Year went to James Dwyer, Global Investigations Manager with Gap, Inc. Congratulations, James! CFI Scholarship Winners were also announced. This year’s winners included Grant Danby, Areas Loss Prevention Manager from Ulta Beauty, Stephen Coyne, Police Officer from the Chicago Police Department and Andrew Schuler, Loss Prevention Specialist from Nike EMEA. Thursday’s events featured a presentation by Chris Norris, CFI on “Finding Common Ground in a Culturally Diverse World.” Norris and others that are part of the Wicklander-Zulawski team have traveled across the country and across the globe conducting interviews in vastly different settings and cultures. Whether conducting interviews in different settings, different cities, or different countries it’s important to follow the platinum rule: Treating people the way that they want to be treated. • Being aware of one’s own assumptions about human behavior and our personal beliefs and attitudes toward culturally diverse environments. • Attempting to understand the world view of your subject, your knowledge of culturally diverse individuals, and the assumptions and biases that guide them. • Developing and practicing appropriate, sensitive, and relevant strategies and using culturally accurate communication. The event then wrapped up with a question and answer session with Wayne Hoover and Dave Thompson and a recap of the conference sessions. The 2020 Elite Training Day was also announced and will be held next April in Chicago. As each of us moves forward in our professional development there remains an urgent and ongoing need to remain current, relevant, informed, and prepared in every aspect of our professional being. Exploring new and different ways to stay in touch with our own growth and development should be seen as more than simply an interest or advantage—it is a professional responsibility. Exploring opportunities for continuing education can come in many forms. Finding the right opportunities for you—those that meet your needs and pique your interests, will help take your skills and your professional prospects to another level. Explore your interests, define your goals, and go for it. You’ll be glad you did.